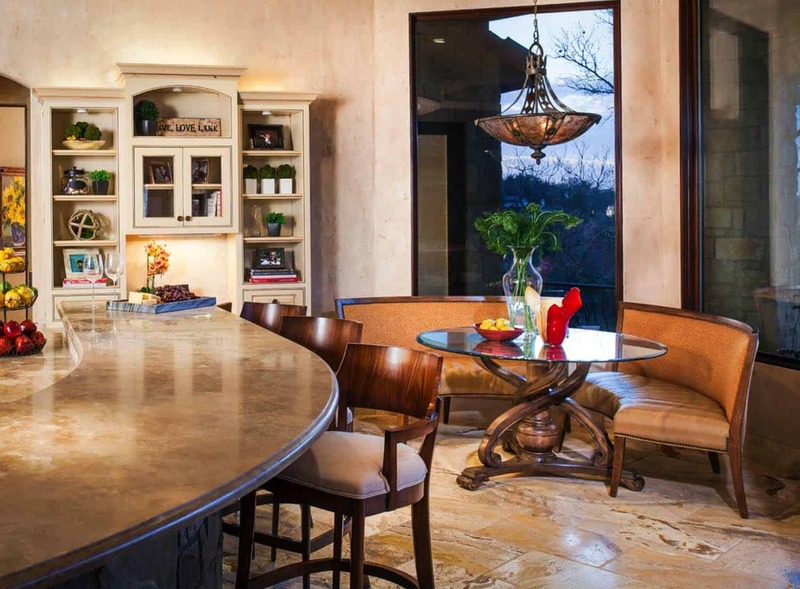 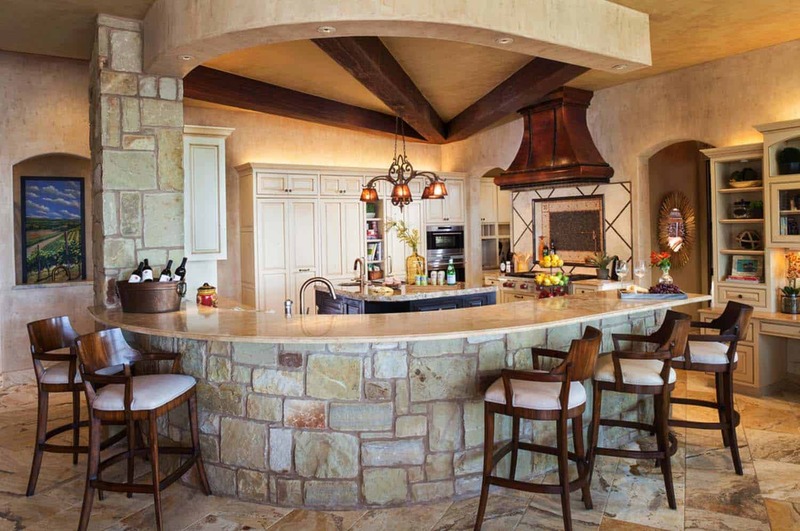 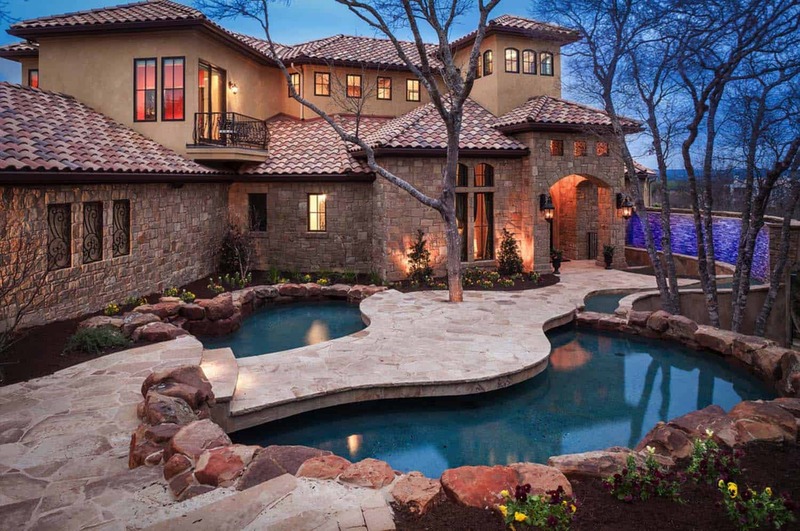 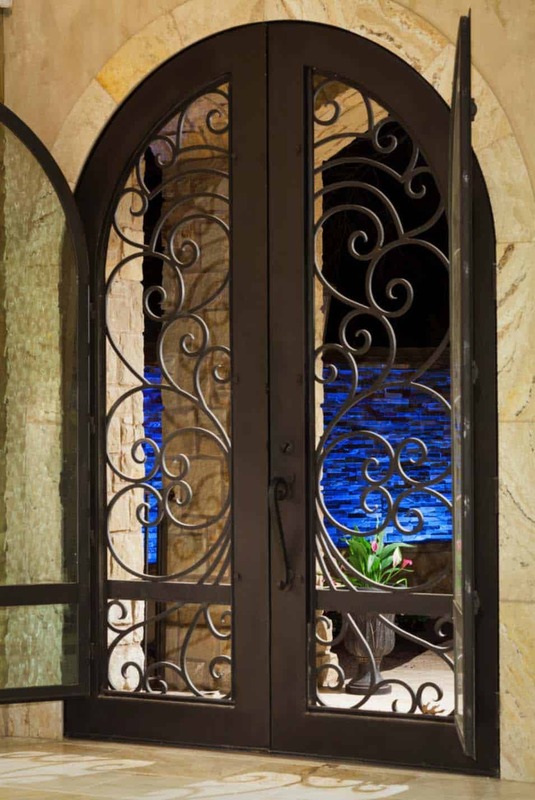 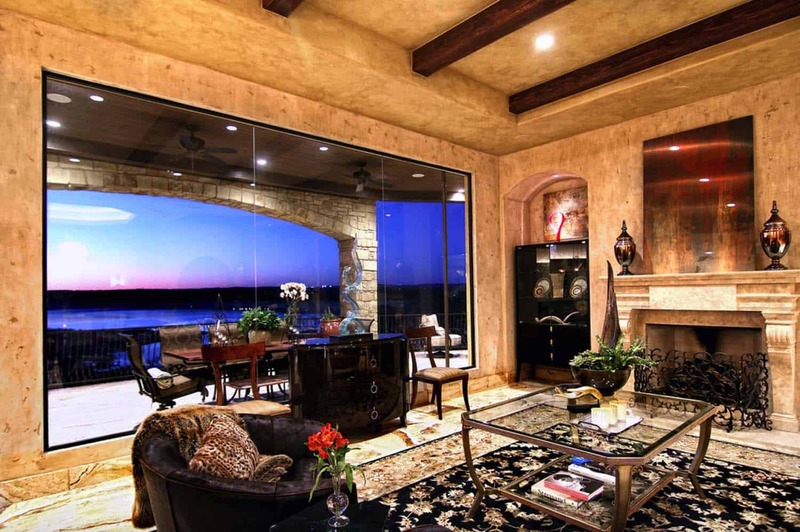 This gorgeous Mediterranean style home was designed by Zbranek & Holt Custom Homes with interiors by Chairma Design Group, located on Lake Travis, Texas. 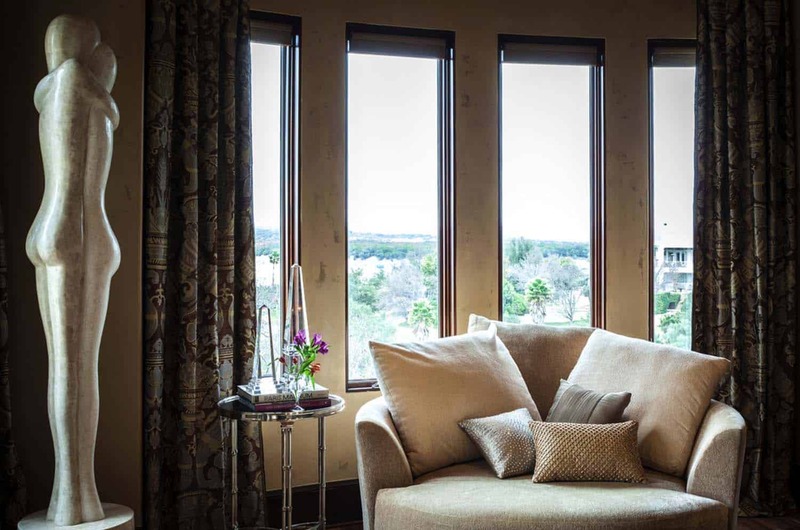 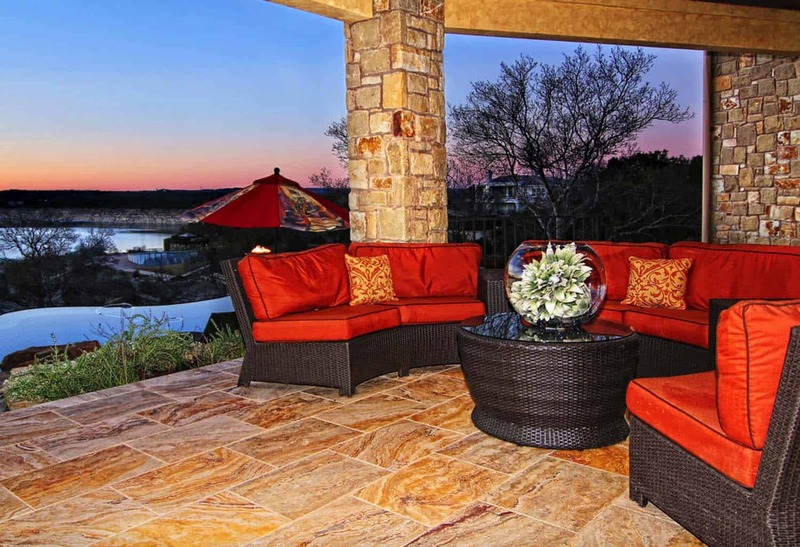 This modern-Italian styled villa was designed for out-of-town clients who wished to have an interior layout that maximizes views of Lake Travis from almost every room. 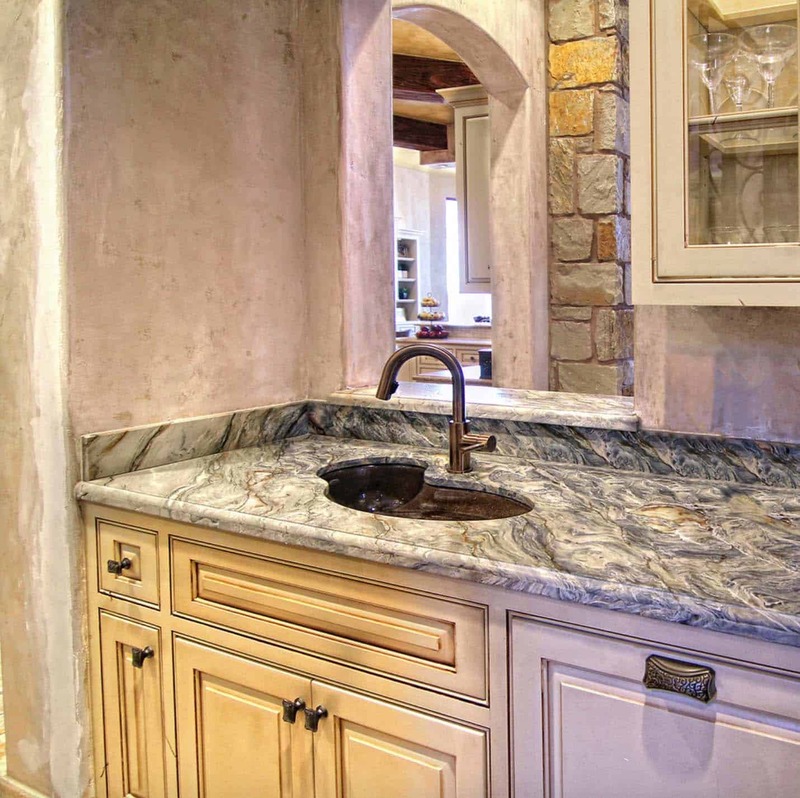 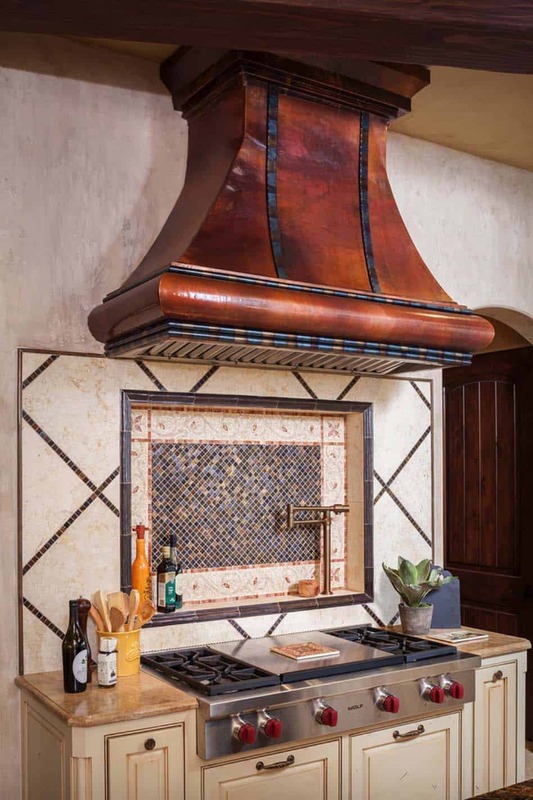 The homeowners wished to capture details that are reminiscent of their extensive travels of Italy. 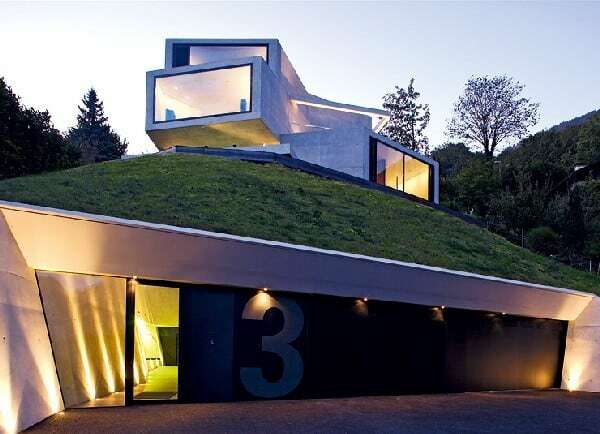 The property features a significant slope from the street level to the lake, this made it necessary for the project team to create an upside down design. 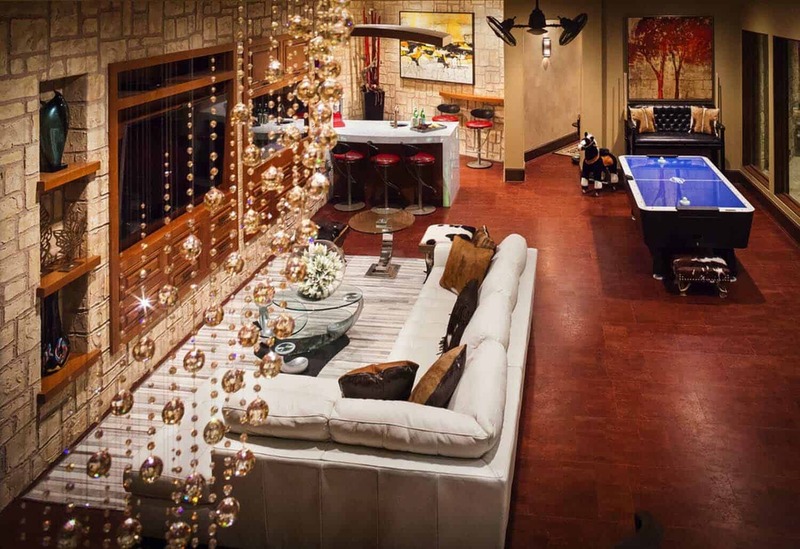 A walkout basement was designed as an exceptional game and entertainment room, extending to an outdoor living area that overlooks the lake. 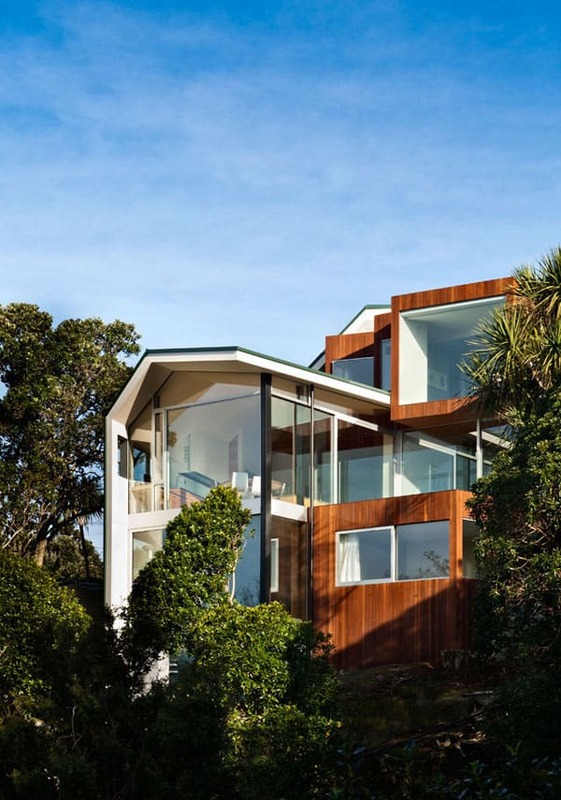 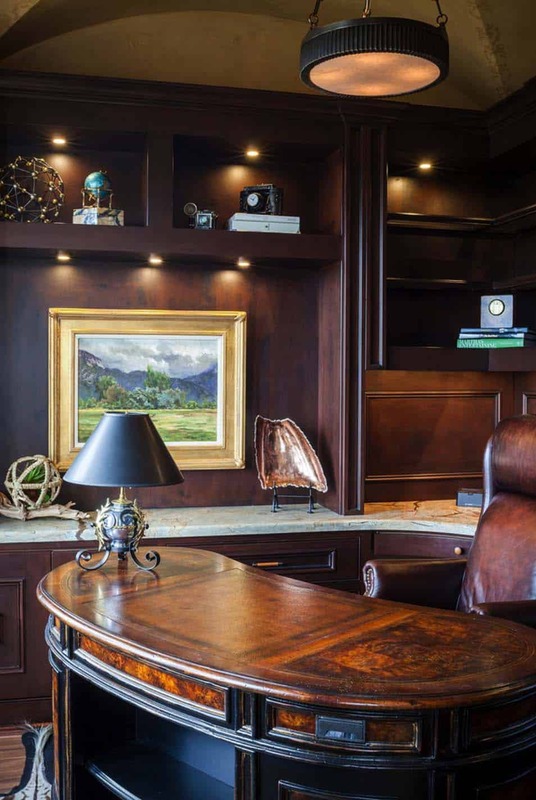 Meticulous attention to detail was given to the design of this home, which combines great function and flow, considering the size of this home as it relates to the building footprint. 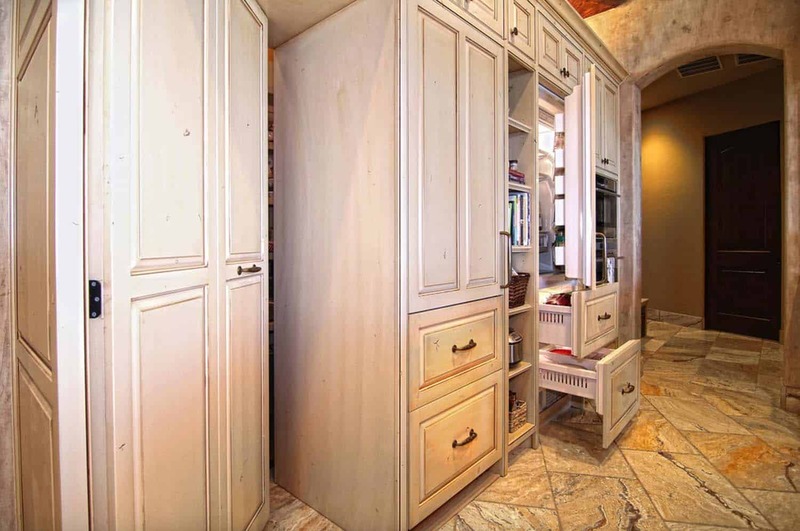 Meticulous attention to detail is very apparent throughout this home, making it exceptional for living and entertaining. 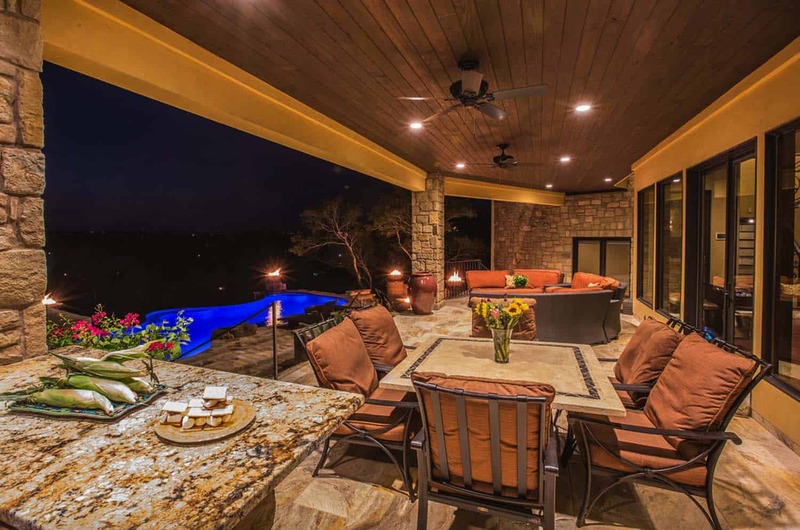 The lifestyle needs of the homeowner’s have been carefully considered, offing an elegantly styled home surrounded by a beautiful setting. 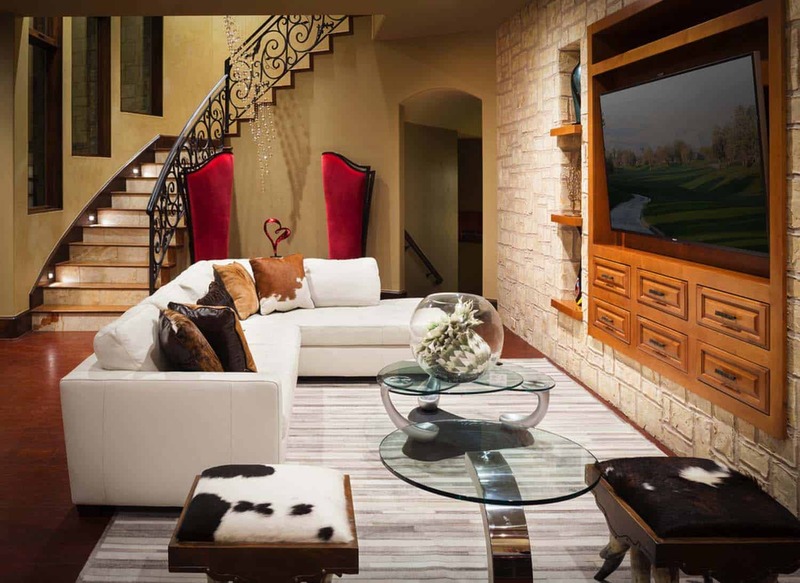 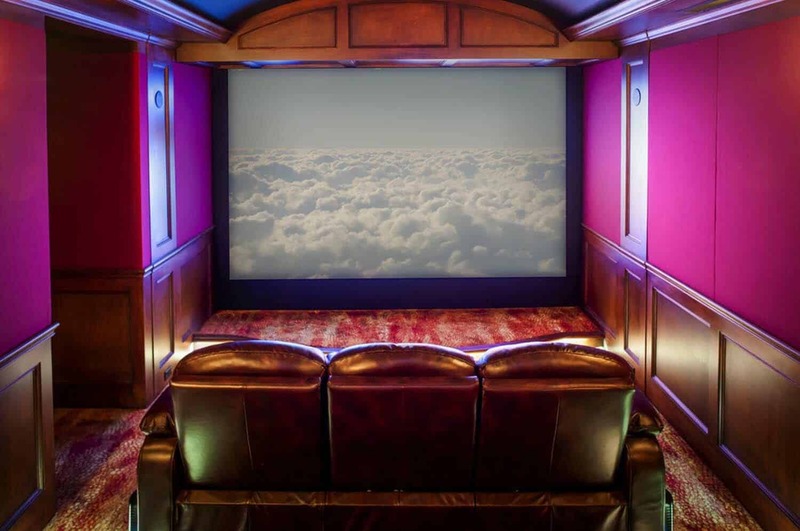 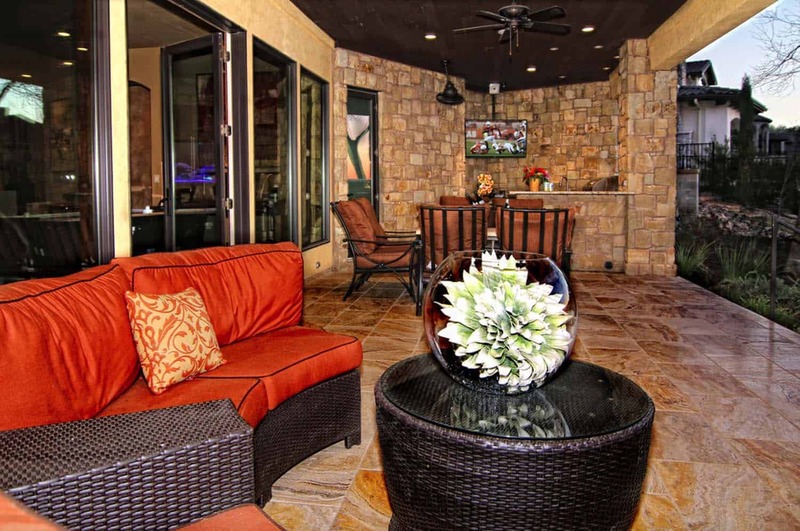 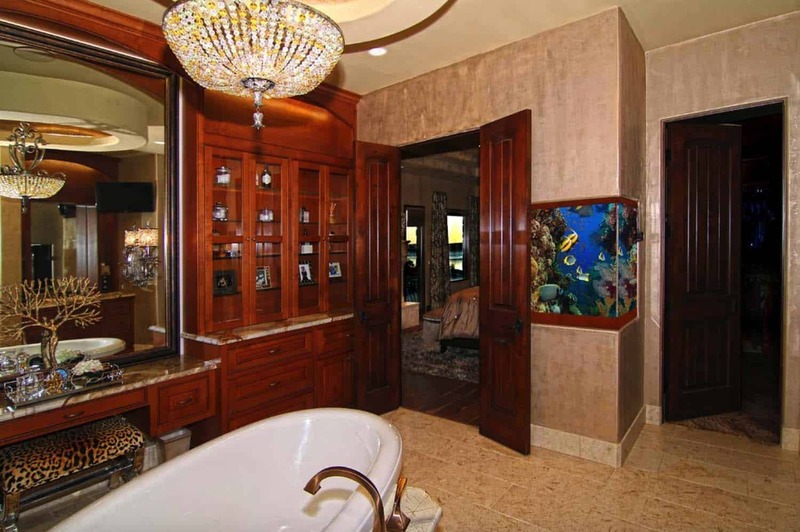 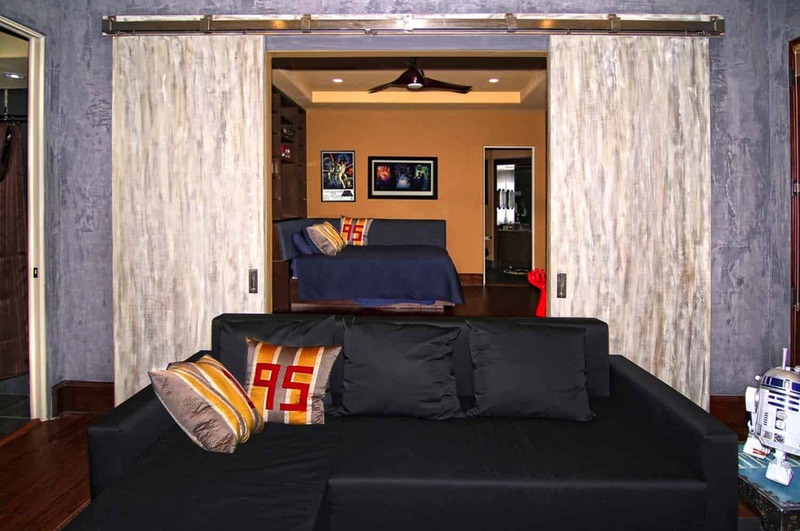 Unique touches can be found throughout; from the third floor fire pole for children (with locking gate), a custom 475 gallon aquarium in the game room, to the richness of materials and the tremendous care and layout of selected materials. 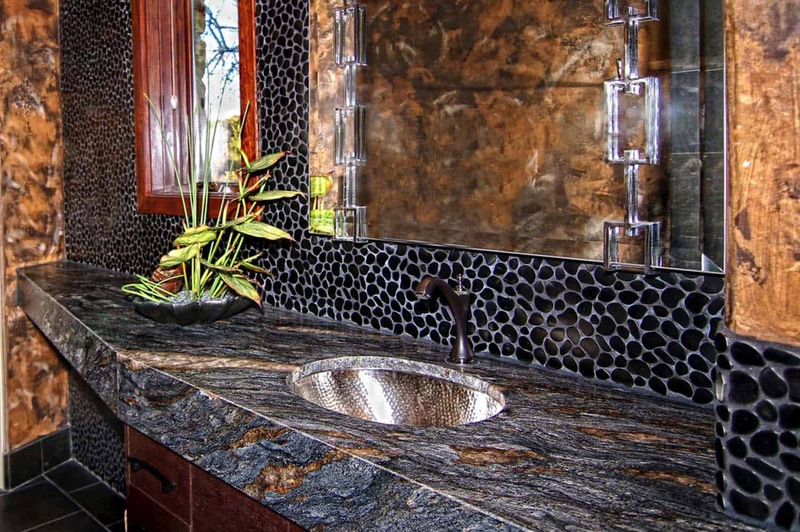 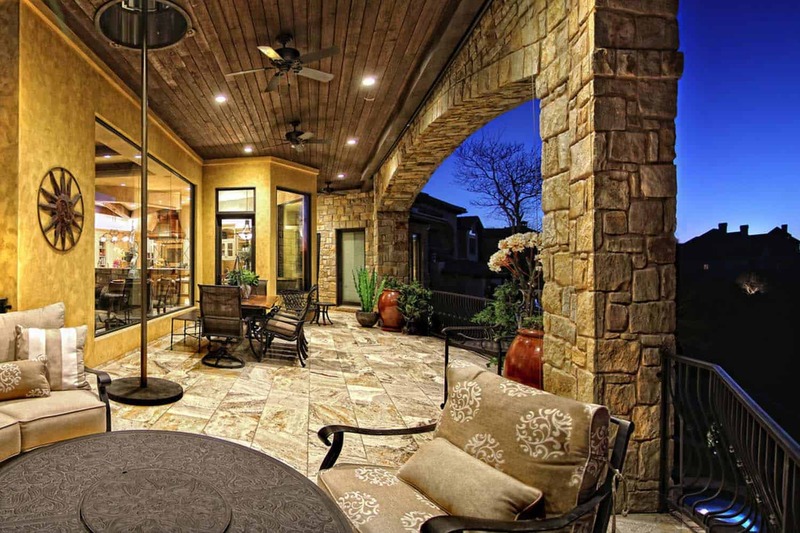 All of these elements combine to create a truly one-of-a-kind home. 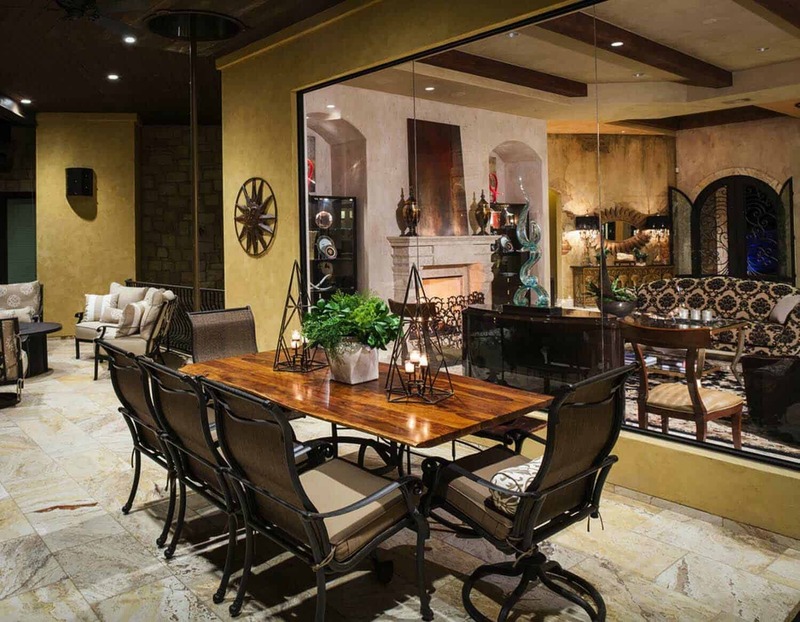 What We Love: This Mediterranean style dream home offers exceptional indoor and outdoor living spaces. 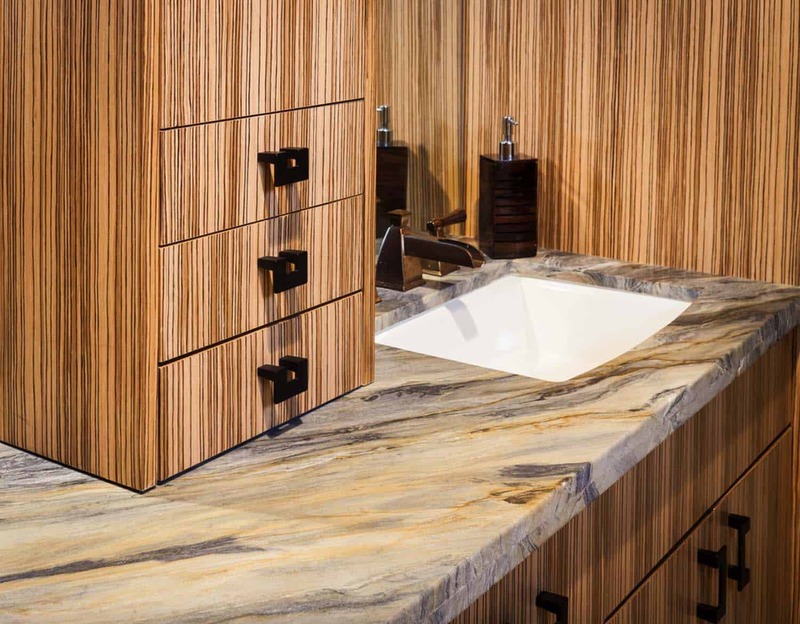 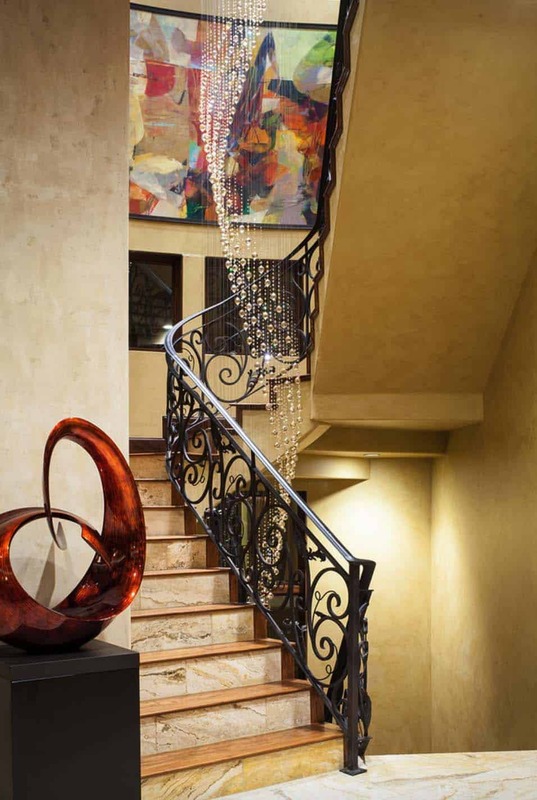 Every detail seems to be thought of in this home, from the furnishings and accessories to the materials selection. 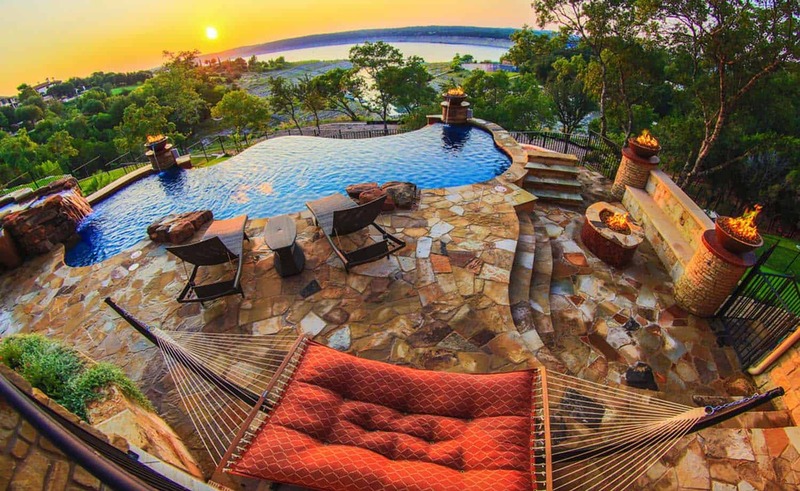 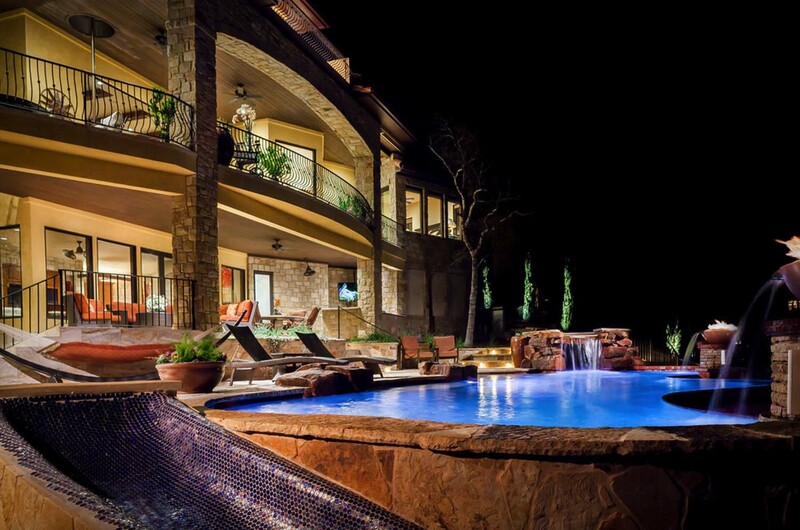 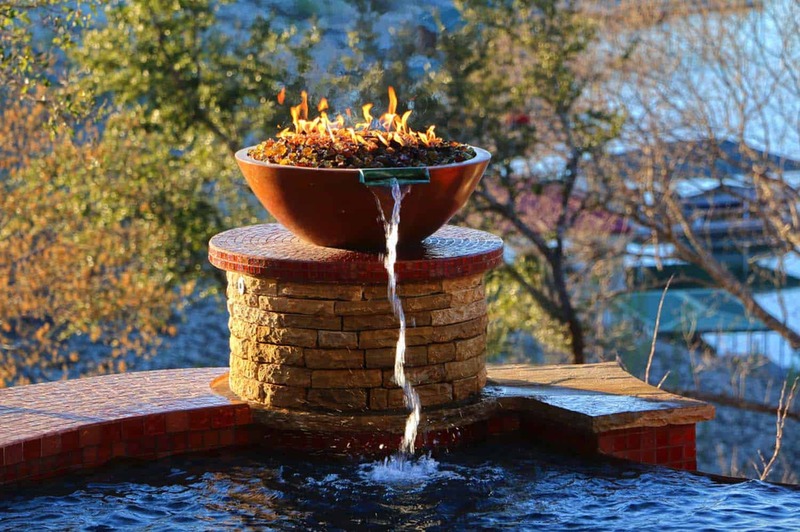 We are especially loving the exquisite outdoor pool and those stunning views of Lake Travis. 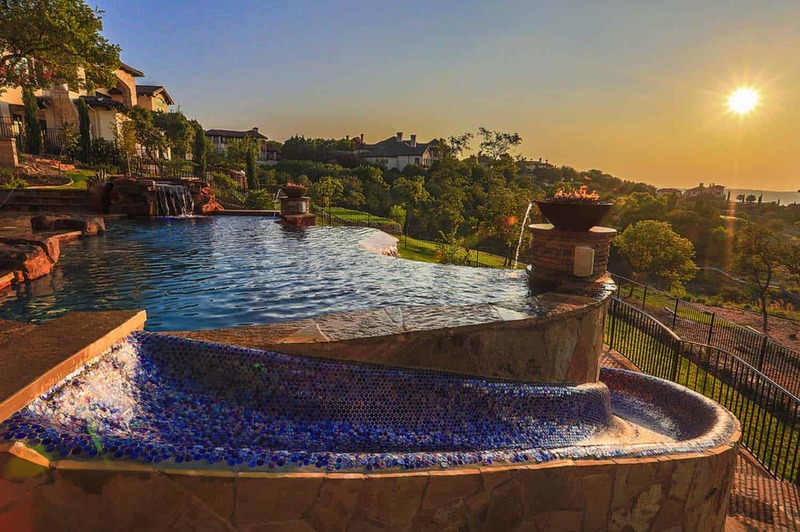 What a beautiful place to call home! 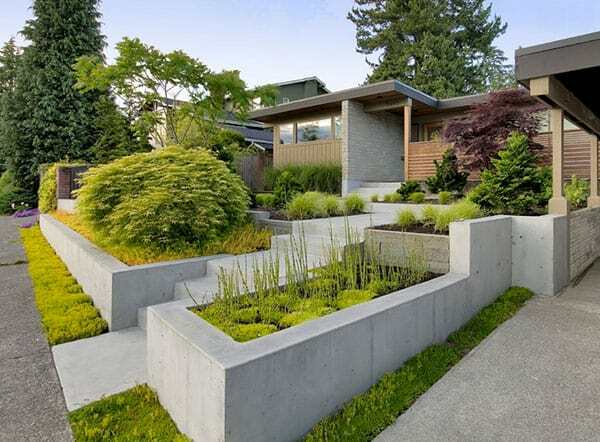 Readers, what do you think of the style of this home? 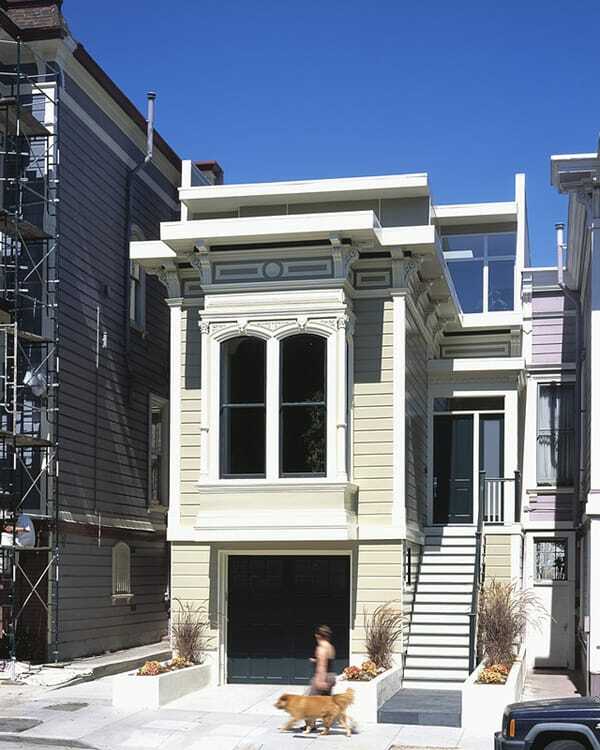 Are there any details in the design that you would have liked to have seen done differently? 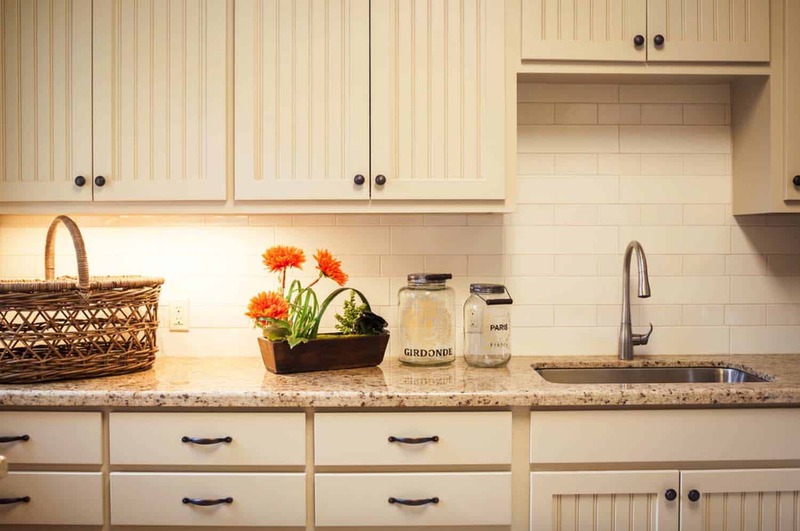 Please share your thoughts in the Comments, we love reading your feedback! 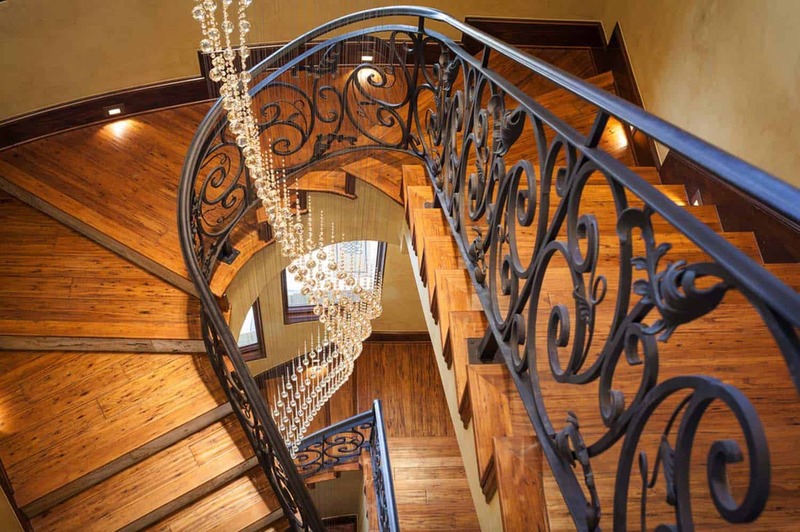 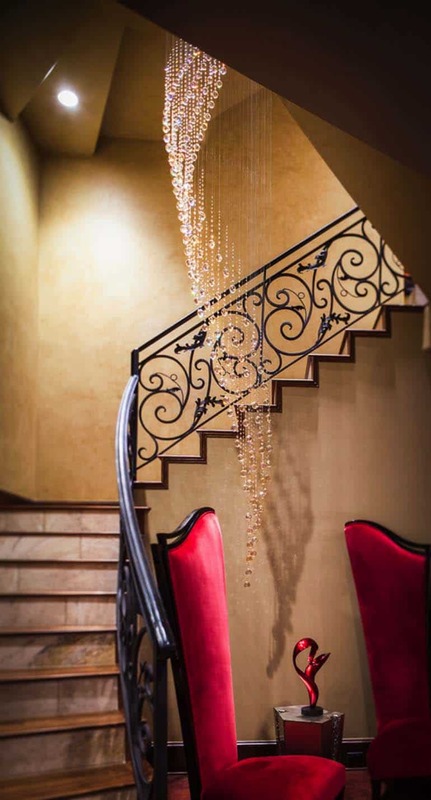 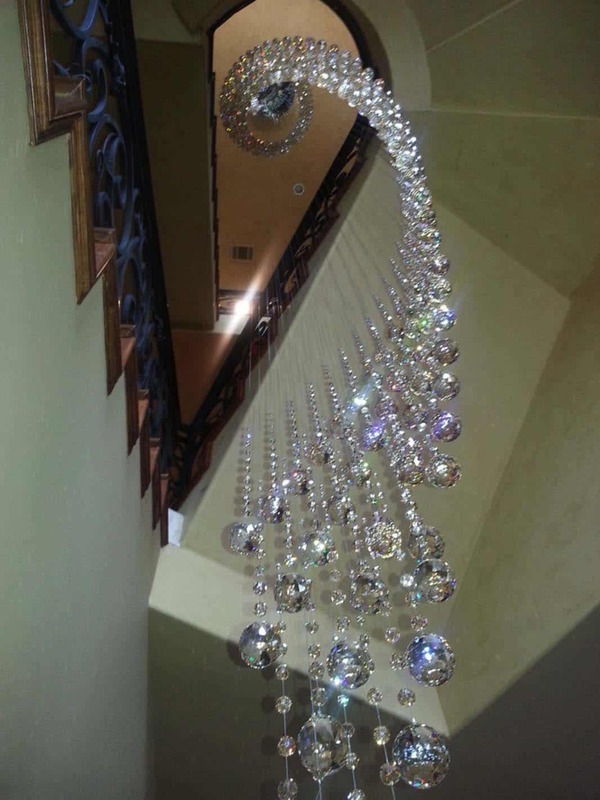 Above: Upon entrance into this home, one is immediately drawn to the custom commissioned Swarovski crystal double helix chandelier that spans all three levels. 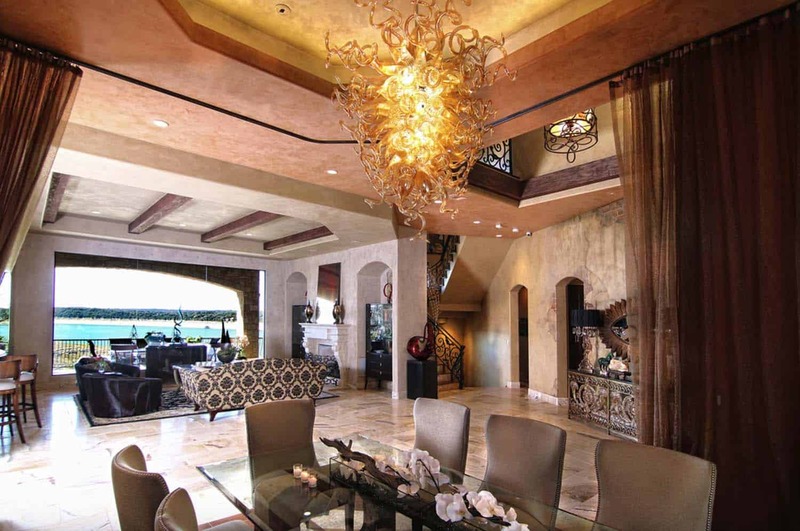 Above: The luxurious great room showcases an open concept formal living and dining area complete with privacy drapes installed for intimate dining. 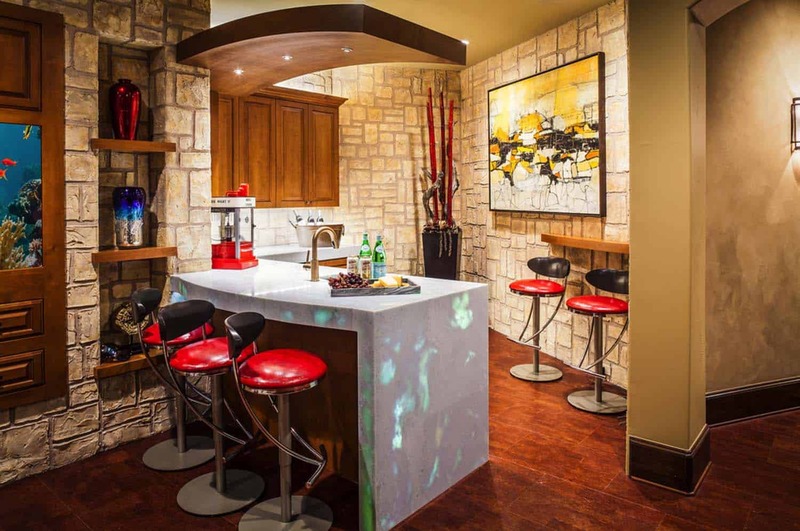 Above: A gourmet chef’s kitchen boasts a hidden pantry accessible to the garage and dual refrigeration units with custom shelving in-between the units. 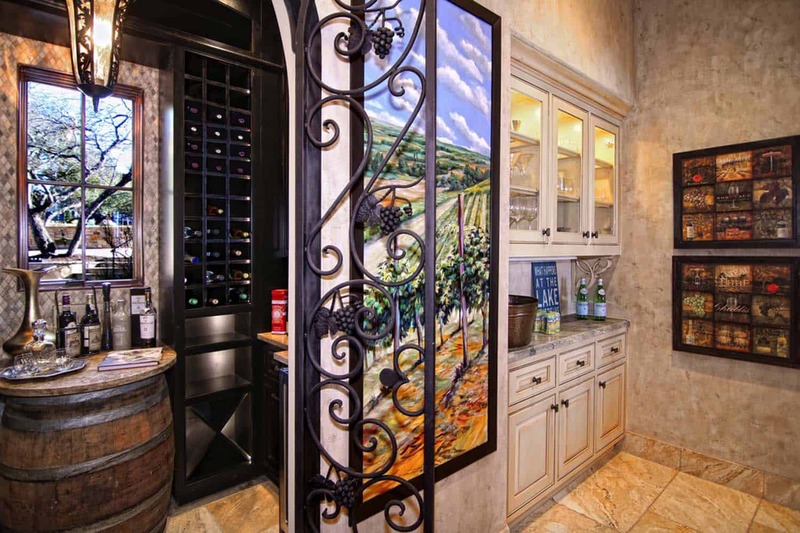 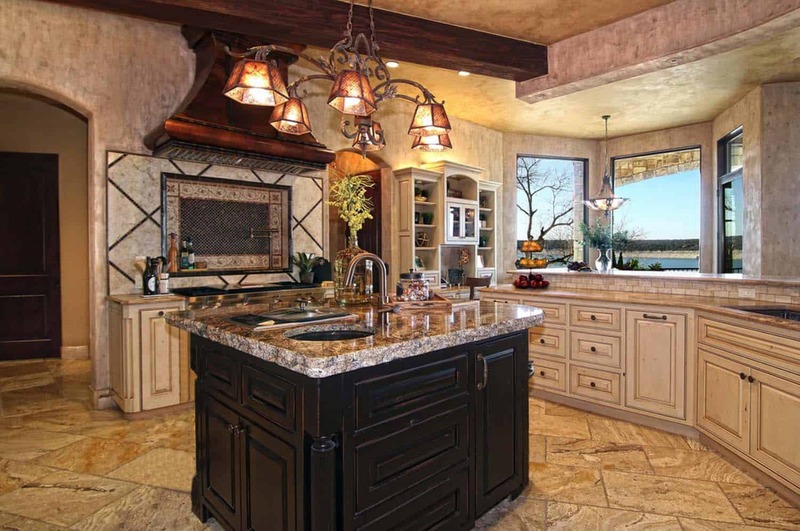 Above: The kitchen also boasts a fabulous butler’s pantry and wine room. 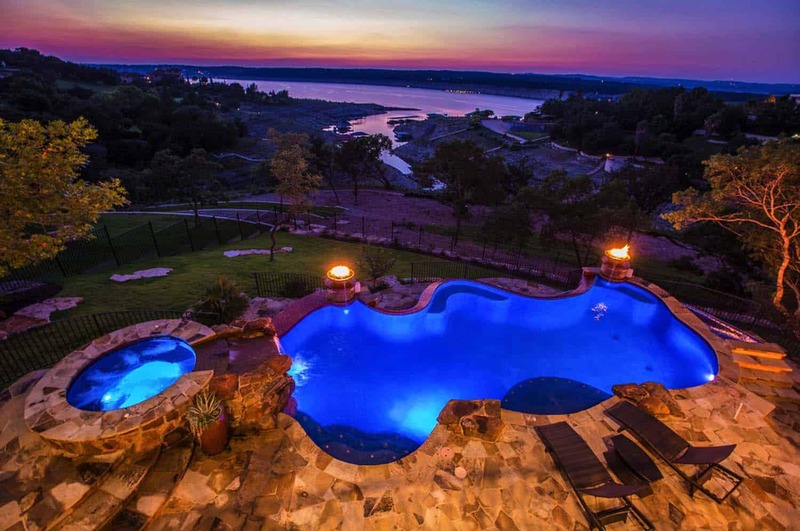 Above: The phenomenal lake views are present at every turn as well as a stunning master bedroom suite, guest bedrooms and so many other decadent features! 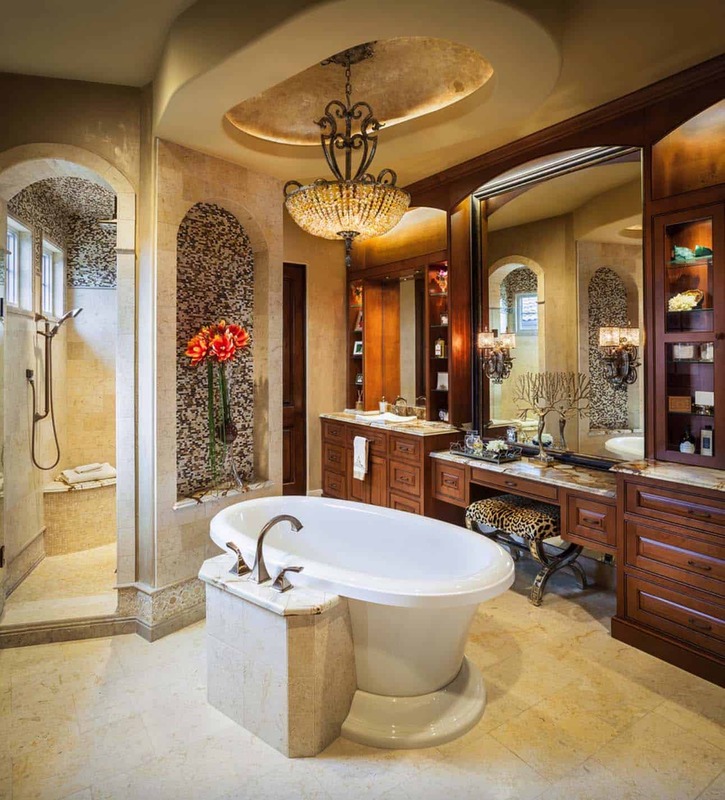 Not my style, it is too overdone, over styled.